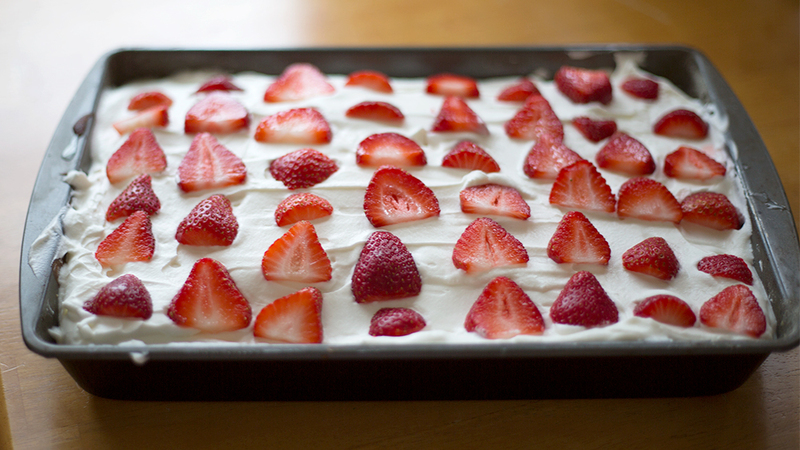 I made the most delicious Tres Leches cake tonight. 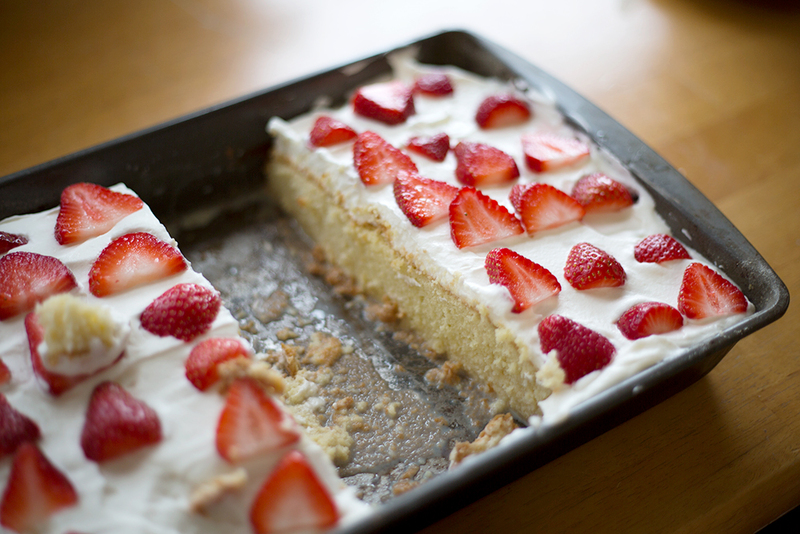 It was moist, sweet, and topped with homemade whipped cream and fresh organic strawberries. Delicious, and so simple to make. You probably have most of the ingredients in your pantry – flour, sugar, butter, eggs, milk, condensed milk, evaporated milk, vanilla extract, and of course, the berries to top it off. What a delightful treat on a rainy Sunday afternoon. I had all the ingredients in my fridge – I keep condensed milk for my Vietnamese coffee (and heavy cream is always in my roommates’ parents flat, underneath ours). You can top this delicious Spanish treat with cinnamon, or fresh berries of your choosing. I chose strawberries since they are in season right now, and I have my own little strawberry plant growing on my second floor terrace. This recipe would taste delicious with raspberries, or even blueberries. My sister bought me a professional Kitchen-Aid mixer stand for Christmas, and this was the perfect opportunity to use it. While I am sure you can use a regular bowl and electric mixer (and you can whip it by hand, if you have the energy and patience), using a Kitchen-Aid made the job so much easier. My roommate, her parents, and our friend, Christine, gobbled this up. It was so delicious, sweet but not overly sweet. 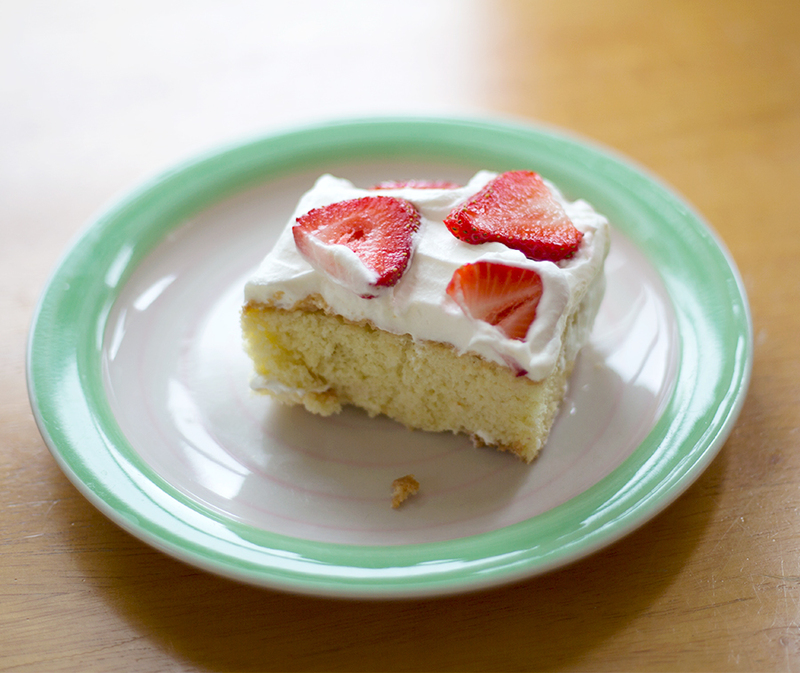 An amazing treat, and so very easy to make.